processes such aselectroplating, physical and chemical vapor deposition. 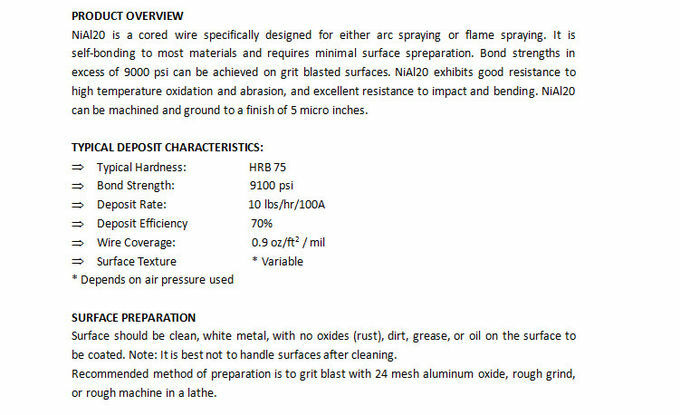 Coating materials available for thermal spraying include metals,alloys, ceramics, plastics and composites. 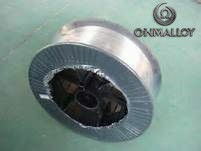 They are fed in powder or wire form, heated to a molten or semimolten state and accelerated towards substrates in the form of micrometer-size particles. Coating quality is usually assessed by measuring its porosity, oxide content, macro and micro-hardness, bond strength andsurface roughness. Generally, the coating quality increases with increasing particle velocities. 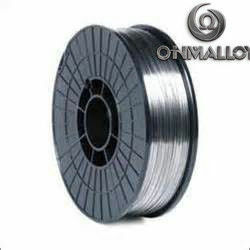 Our company use Vaccum furnace and casting control to mak the NiAl alloy solid wire, it is specially used for arc spray boning layer. 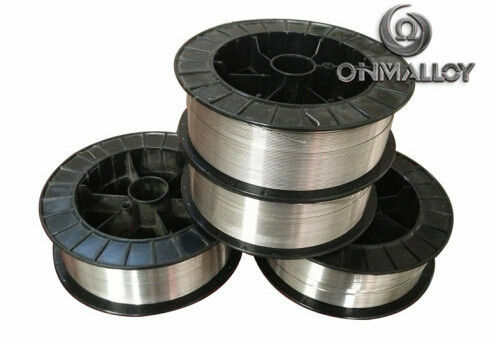 This wire has stable chemical composition, low oxgen and high bonding strength.